As we approach the winter equinox with the days so short, our thoughts turn to battening down the hatches and hunkering down; to feasting with those we love, and celebrating the season with lights and decorations, with gifts and things of beauty. We’ve made a festive selection on our website, where we have hats, scarves, gloves and socks to keep you cosy, decorations for your tree and table. And for when the feasting has come to a reluctant end, we have a handcrafted wooden brush to elegantly gather crumbs from the table, or one for the hearth. 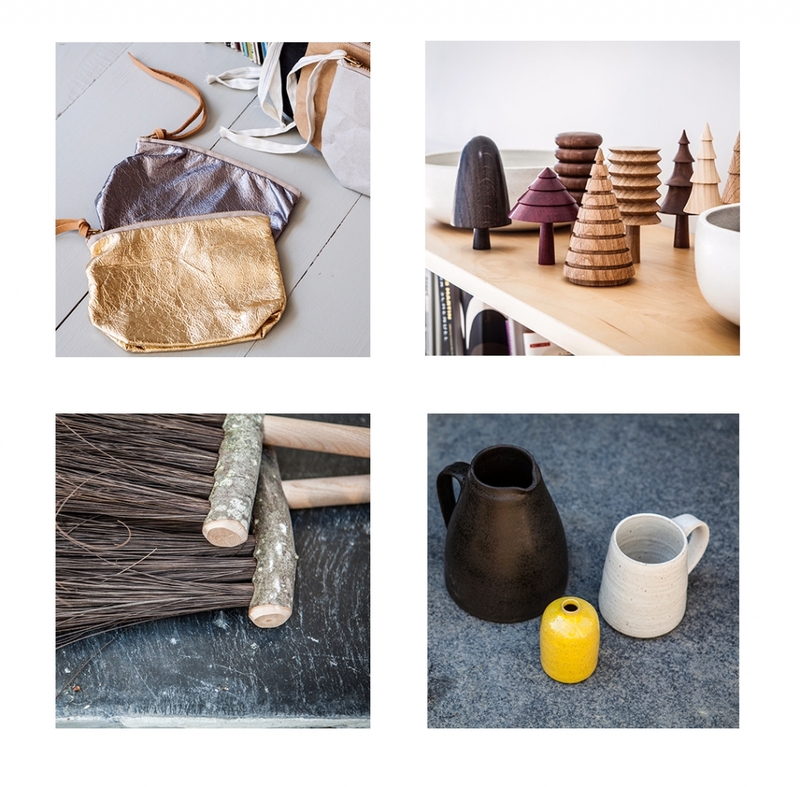 In the images above we see Made A Pound‘s pewter and gold foiled purses, turned wooden trees made from repurposed hardwood by Forge Creative, bahia grass broom from Geoffrey Fisher and hand-thrown stoneware from Lucy Rutter and Nicola Tassie. We’re open every day through to Christmas Eve—come and see our window display from Corrie Williamson, featuring her brass and bogwood mobiles alongside her jewellery. We’ll be pleased to welcome you to our cosy and festive space filled with carefully chosen and crafted pieces. For those who can’t make it in person, we’ve been working hard to add as many of these items to our online store. Thanks, as always, to Andrew Hayes-Watkins for the photographs.